We have now have new stock for the Christmas period. 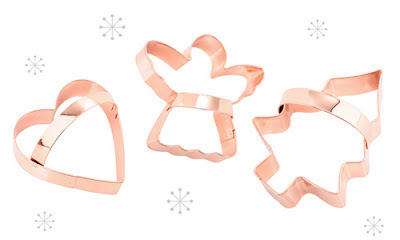 Like these solid copper cookie cutters which are 4.00 each. We also have Japanese candle holders and Indian khadi towels and throws... We'll post more images soon. Don't forget our Temp store at 10 Kingly Street London W1, from now until into the New Year.